This briefing by Kate Donald and Nicholas Lusiani of the Center for Economic and Social Rights provides a brief assessment of the changing role of the International Monetary Fund (“IMF” or “the Fund”) with regards to one key fiscal consolidation measure: contractions in public expenditure. 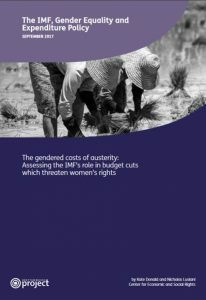 The briefing explores the Fund’s positive and negative influence over public expenditure decisions, and further explains how public spending cuts have an especially negative impact on women’s human rights, impeding progress towards gender equality. Subsequently, this briefing includes a case study of Brazil, a country in which the IMF has recently played a significant role in gender-unequal public spending cutbacks. The briefing concludes with a series of proposals to help better safeguard women’s rights in times of economic crises. Ultimately, overly restrictive macro-economic targets to reduce public expenditure have real economic, political and human rights costs, disproportionately shouldered by women, which palliative social safety nets and targeted gender programmes cannot alone alleviate. To respect governments’ standing human rights obligations, the Fund (and its Board which are human rights duty-bearers under international law) should prioritise efforts to implement more robust and more progressive tax and fiscal alternatives which could prevent the pain of fiscal adjustment altogether. Find the full briefing here. Ultimately, overly restrictive macro-economic targets to reduce public expenditure have real economic, political and human rights costs, disproportionately shouldered by women, which palliative social safety nets and targeted gender programmes cannot alone alleviate. 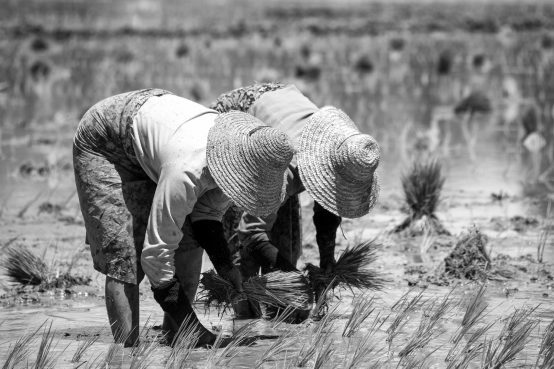 This briefing is part of a series on the gendered impacts of IMF policy, examining the Fund’s policy advice and conditionalities in the context of resource mobilisation, labour market participation and flexibilisation and government expenditure. These studies are part of a compendium released in October 2017. It has been produced as part of the Gender Equality and Macroeconomics project, a joint project of the Bretton Woods Project and the Gender and Development Network.